I am flying from India to England on Saturday and will reach Heathrow on Sunday morning. I would like to post a gift to my friend from Heathrow Airport. Is that possible? 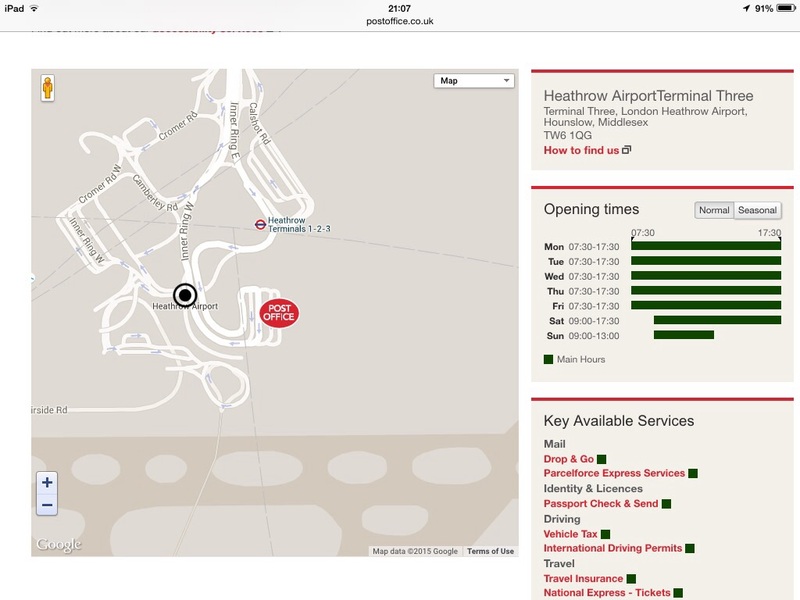 There is a Post Office branch in Heathrow Terminal 3. There are post boxes located in all terminals both before and after security. Anything posted can be inspected by HMRC. Also the postboxes at Heathrow are size limited so only letters can be posted. Not the answer you're looking for? Browse other questions tagged uk lhr mail or ask your own question. Can I travel from India to USA through Heathrow airport?